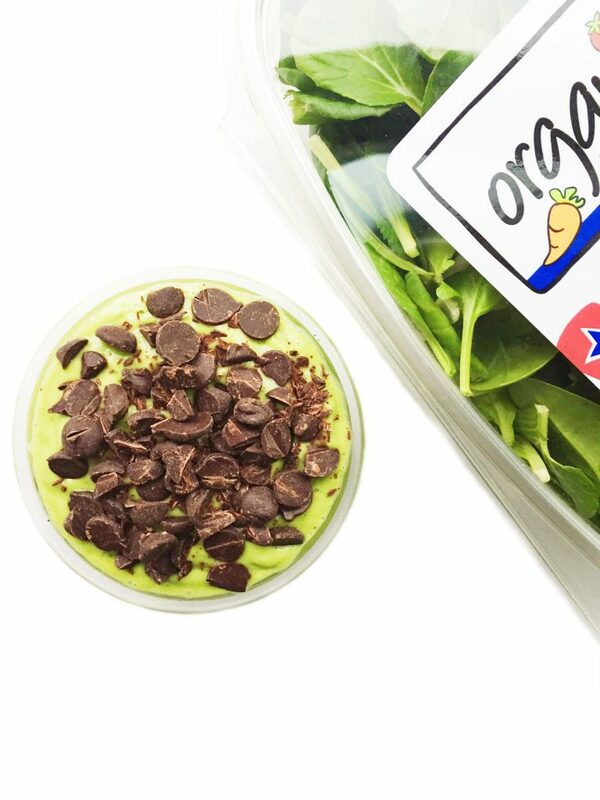 A Vegan Mint Chocolate Chip Smoothie Bowl packed with healthy fats, fiber, protein and GREENS! When I was younger, I would only eat Mint Chocolate Chip ice cream if it was green. I was convinced that when the ice cream was colored white instead of green, it had a different taste. I also had a phobia (and kind of still do) of many white colored foods. Mashed potatoes, mayo, plain yogurt, vanilla cream, whipped cream, etc. are some foods I just cannot eat. It’s because of the white color and consistency/texture. It is the strangest thing, I know, but to each his own right? So, Mint Chocolate Chip ice cream. Big chocolate chunks in my favorite green colored ice cream scooped into a waffle cone or a bowl and I was a happy camper. I used to save all of the chocolate chunks for the end and basically give myself an obstacle course while trying to eat the ice cream. Does anyone else do this? Yes? No? Maybe? 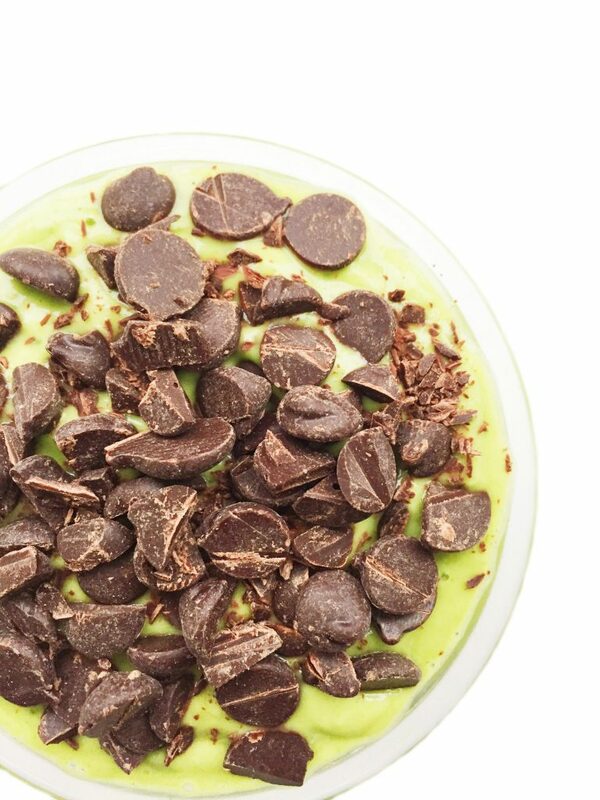 Now, when I tell you the ingredients in my Vegan Mint Chocolate Chip Smoothie Bowl you are going to be like “are you kidding me Rachel, that sounds gross”. But just go with it, it may sound weird but I think you’re going to love it! Typically my smoothie bowls are mostly bananas, other fruits and more recently some greens in it. 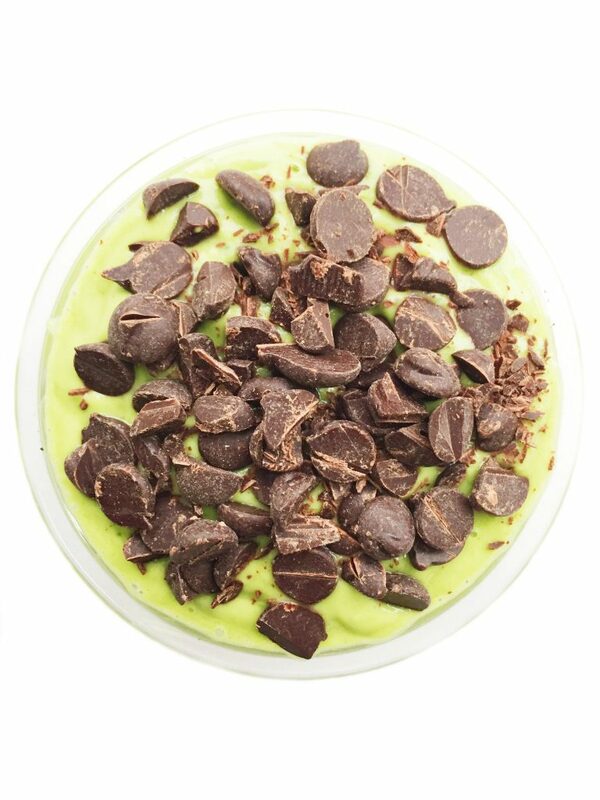 For the Vegan Mint Chocolate Chip Smoothie Bowl, I need that perfect green color and that creamy consistency that reminds us of ice cream. Now that is where avocados come in. Yup, I put 1/2 a ripe avocado in this smoothie bowl. At first when I was piling it into my food processor, it smelled like I was making guacamole. But then I add frozen banana, vanilla almond milk and Organic Girl baby spinach and the color and smell all just blended into place. I also added peppermint extract for mint flavor but you can easily put in fresh mint if you prefer. And also some vanilla extract at the end. After blending to a creamy, ice cream consistency, I poured it into a bowl and topped it with dark chocolate chips (vegan/gluten/nut free ones) and went to town! 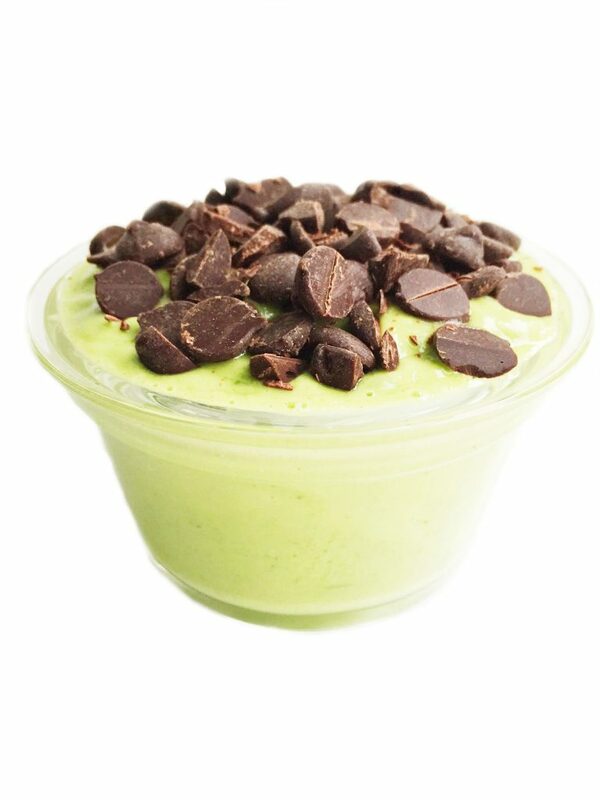 Avocados are my favorite smoothie ingredient! They make them creamy beyond belief. I’m not a huge mint-flavor fan, but I think I could get on board with this!! !!!!! Mint chip is my favorite EVERYTHING. This might just have to be my very first smoothie bowl!